With the winter season in full swing, it is important to take precautions to prevent cracked and dry lips. Since your lips are exposed to the wind, sun, and saliva they are prone to dehydration. Other than constantly applying lip balm, there are some other preventative measures you can take to help protect your lips from the chill this winter. With the winter season in full swing, it is important to take precautions to prevent cracked and dry lips. The cool weather dries out your lips and causes the raw skin to peel, break, crack, and bleed. Since your lips are exposed to the wind, sun, and saliva they are prone to dehydration. The skin on the lips is already very thin, and it has no oil glands to secret protective oils. Other than constantly applying lip balm, there are some other preventative measures you can take to help protect your lips from the chill this winter. After brushing your teeth, rub your toothbrush gently along your lips to exfoliate your skin to help keep it smooth. A facial exfoliater can also be used to remove dead and dry skin. Be sure to apply lip balms containing beeswax, shea butter, or petroleum jelly to keep your lips hydrated. Beware of common lip balms such as Carmex and Blistex, which actually remove the moisturizing layer of skin on your lips. Water will help keep your body and skin hydrated, which might prevent your lips from cracking and chapping. Be sure to keep a water bottle near you in the winter months. Licking your lips leaves them drier than before. 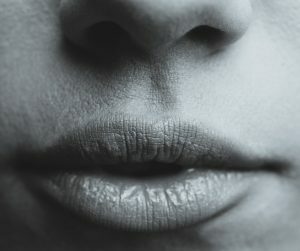 When saliva dries, it damages the skin of your lips and dehydrates them. Using a humidifier indoors can moisten the surrounding dry air and help keep your skin hydrated. Some ingredients in lipsticks, lip balm, and even new toothpastes can cause severe dryness in the lips. If you know a certain product works well for you, continue to use it during these dry months. If you are considering switching to a new lip balm or lipstick, carefully read the label and research the ingredients before buying it during the winter season. Keep your lips, teeth, and gums healthy this winter. If you experience severe dryness or cold sores on your lips and inner mouth, make an appointment with your Longmeadow dentist today for examination. Surgical placement of biological material from one site to another.